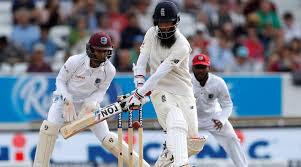 Eng vs WI 2nd test 2019 of England tour of West Indies 2019 is in progress in Vivian Richards Stadium, North Sound Antigua from 31st Jan. England is again in the problem while lost the 1st test. Live cricket score and a highlight of this 2nd test Eng vs WI 2019 will clear all. West Indies won the toss and opt to bowl first. England could score only 187 runs after losing all the wickets in 61 overs. Jonny Bairstow 52 and Moeen Ali scored 60 runs. But other batsmen of Australia failed again as similar in the 1st test. Kemar Roach 4, Shannon Gabriel 3, Alzarri Joseph 2, and Jason Holder got 1 wicket. England has given a little target to West Indies in the 1st inning of Eng vs WI 2nd test 2019. Eng scored 187/all-out in 61 overs in the 1st inning. All batsmen of West Indies played well. But only Darren Bravo could get a half-century. Darren Bravo 50, Kraigg Brathwaite 49, John Campbell 47, Shai Hope 44 Shane Dowrich contributed with 31 runs. Three batsmen missed their half-century by a little difference. Stuart Broad and Moeen Ali got the 3-3 wickets. While James Anderson and Nen Stocks got the 2-2 wickets in this Eng vs WI 2nd test 2019. West Indies scored 306/10 in 131 overs in the 1st inning. England is at 9/0 till lunch break day-2.